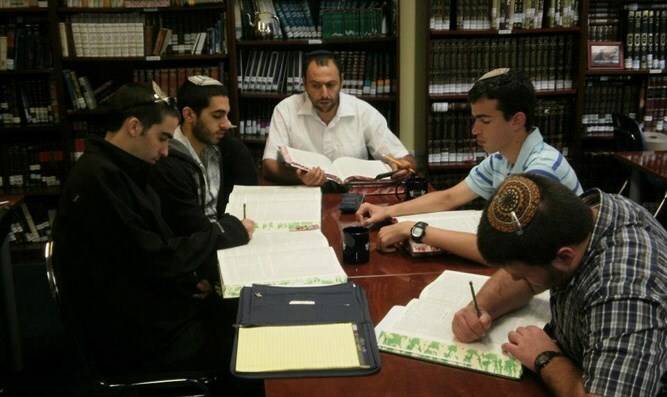 This week's Dvar Torah is by Rav Avi Goldberg, former Rosh Kollel in Memphis (2008-2011), currently teacher at Himelfarb religious boys' high school in Jerusalem. According to the Shulchan Aruch in Hilkhot Tefilah (Orach Chaim 111: 1): "A person who prays should have kavana (intention, i.e., should mean the words) in all the blessings of the amida, and if he cannot, at least he should in the first blessing (Avot)." This ruling is based on the Gemara in Berakhot (34b). According to Rashi, the blessing of Avot is given such a significant status because it is at the beginning of prayer, and the lack of kavana at that point would affect one’s approach to the entire prayer. The Mishna Berura suggests that the Birkat Avot is important because it is the "arrangement (order) of the praise of G-d." The Aruch Hashulchan suggests other reasons; it is the only blessing that opens and ends with baruch, and it is the blessing that follows Geula (redemption of Israel) and also contains Geula. He then adds a short comment, which seems to be crucial: "And the three fathers… are also in this blessing." In other words, the Birkat Avot is important because of its connection to our patriarchs! The patriarchs are often mentioned in our prayers, many of which begin with the words, "our G-d and the G-d of our forefathers." As the Ramban points out, many verses in the Book of Genesis indicate that "the acts of the fathers are signs for the sons.” In a way the whole approach to Sefer Bereshit could be our relation to the patriarchs. Why is our connection to the patriarchs of such great importance? The central theme in our Parsha is the mission of Eliezer, Abraham’s servant: his search for a wife for Isaac. The text describes what happened, and then Eliezer repeats the whole story in great detail to Lavan and Betuel. It would have been possible to shorten this account by writing, "And the servant told them everything that happened." While this seemingly redundant description takes up sixty-seven verses, the Torah sometimes uses very few words to tell us about other important topics. The Sages found it hard to explain why so many verses are devoted to this story, suggesting, "the words of the patriarchs’ servants are more beautiful than the Torah of the sons." (Bereshit Rabba 60: 8). Rav Kook writes: "One spark of the light in our patriarchs’ lives... is superior to all the revealed sanctity in content of faith and fear, Torah and Mitzvot…" (Orot Hatchiya 14). Our connection to our forefathers is a key element of the Jewish faith, to the extent that even Eliezer's conversation is given an important place. Thus, the Torah is not only interested in formal observance and commitment of laws, but in a life filled with the fear of God. It is not only a Book of Commandments, but also provides an all-embracing way of life, directed towards piety. Rather than a secular life, with the addition of mitzvos and holy moments, the Torah prescribes that all everyday, mundane human actions should be guided by the Torah and the search for G-d. This idea seems to underlie the interpretations of many commentators regarding Eliezer’s search for a wife for Isaac. Comparing the description of these events at the beginning of the Parsha to Eliezer's account, there are quite a few changes. For example, as the Rashbam explains, "… the length is to inform us that… it was all God’s doing." He also suggests that the reason for Eliezer's detailed account of the events before, but not after, eating, is that, "after he [Eliezer] saw that G-d agreed with him, he did not have to deal with the eating and drinking…” In other words, Eliezer sees in the events that took place the involvement of G-d, and that is the reason for his long repeated description, and for the changes he instills in it. Indeed, after such a detailed description, pervaded by intense faith in G-d, and the sense of His providence and guidance, the only possible response of Lavan and Batu'el was, "It is all G-d’s doing, we cannot speak bad or good"! Can we live this way? Could we become connected to G-d at every point in our lives, and see how everything comes from Him? Through this detailed description of Abraham’s servant’s speech, the Torah teaches us how to live a life filled with meaning and faith, with a sense of mission and recognition of the power of piety and providence. That is our deep connection to the Avot, and the lesson taught even by Abraham's slave.